Prominent & Leading Manufacturer from Nagpur, we offer multicore rtd cable, teflon insulated cables, teflon with ss insulated cables and pvc insulated screened rtd cable. 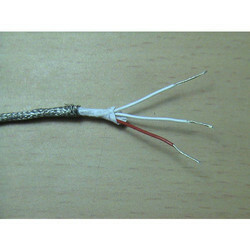 We are the renowned manufacturer, trader and supplier of Multicore RTD Cable. Our offered cables are manufactured with precision using advance techniques in order to meet various needs of customers. Additionally, a series of quality tests are performed by our quality controllers on these cables so as to eradicate any defect from this range. We are actively engaged in offering a supreme quality Teflon Insulated Cables. 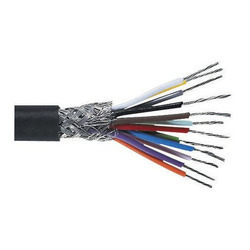 The offered insulated cable is checked in terms of quality so as to deliver a flawless range. This insulated cable is manufactured with superior quality material and progressive technology in adherence to the quality norms. 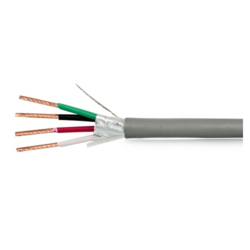 Also, the offered insulated cable is widely acknowledged for its optimum finish among our customers. Manfacturer and exporters of PTFE Insulated wires, cables, sleeves, RTD Cables, Thermocouple cables, Heating Cables, Instrumentation cables etc. Multi cores of stranded 7/0.2mm diameter conductors. 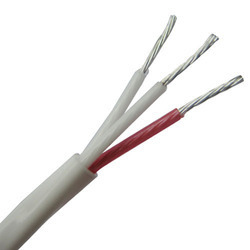 Each conductor is Heat Resistant PVC insulated (+105°C). The cores are twisted together and tinned copper wire braid screened. Heat Resistant PVC (+105°C) sheathed (black).